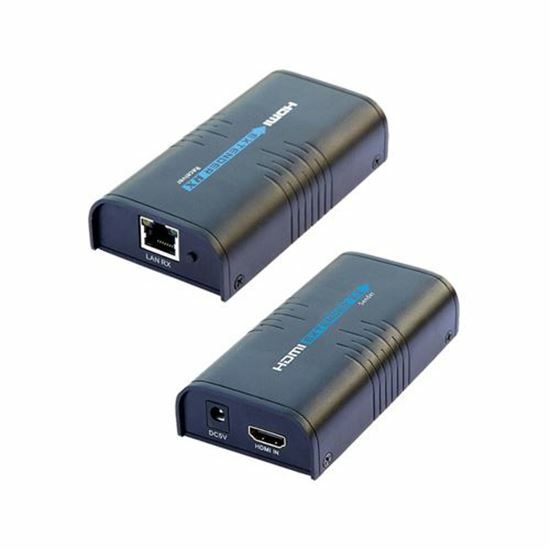 LENKENG HDMI Cat5E/6 network extender kit for up to 100m at 1080p. Includes Transmitter and Receiver. This is the complete solution to solve the image mosaic, colour distortion, transmission failure and other problems when an HDMI signal is transmitted over a long distance. It's a professional signal transmission system which combines the function of HDMI signal conversion and NBC reception. Designed for high-quality HDMI video signal over a long-range extension. HDMI network extension technology LENKENG is the first manufacturer that converts HDMI signal to standard network signal to transfer long distance. LKV373 supports all HDMI features including full HD 1080p, deep colour, lip sync and CEC.